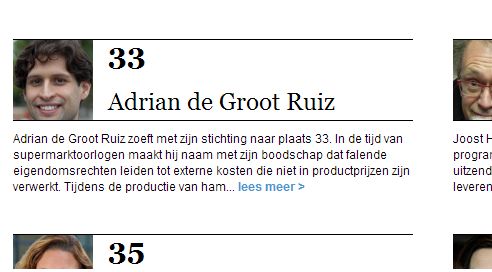 Today, the Trouw (leading Dutch newspaper) appeared with a spread in which True Price Foundation’s Executive Director Adrian de Groot Ruiz explains all about external costs and benefits, True Pricing and frontrunners. The digital version of the article can be downloaded here. Sustainable Civilizations: What if the Mayans and Romans Had Known? Two weeks ago I spoke at the Conference on True Cost Accounting in Food and Farming, organized by the Sustainable Food Trust (and covered in this blog by Ellen Gustafson). With support of amongst others HRH Prince Charles of Wales, it brought together experts around the world, discussing many serious issues. Afterwards, however, one light-hearted question got into my head and kept lingering ever since: “What if the Romans or the Mayans had known about True Prices?” To refresh your memory: a True Price includes all environmental and social external costs such deforestation, soil erosion, CO2 emissions, underpayment, forced labor, land grabbing, etc. Since the dawn of civilization, successful food production — and with that survival — has depended on an intricate balance between the economic, social and ecological systems. And it is when this balance gets out of whack, it may even contribute to the collapse of civilizations. For instance, Jared Diamond argues in his book Collapse that overpopulation relative to the carrying capacity of the environment contributed to the collapse of several ancient civilizations such as the Maya of Central America. So, what if a wise Mayan astronomer/agronomist 1500 years ago consulted one of the six maize deities over his cup of hot chocolate with pepper, and heard that he ought to better manage his sophisticated raised fields and terraces, reduce the external costs and realize True Prices? Perhaps they wouldn’t have vanished mysteriously? More speculatively, Joseph Tainter in his Archeology of Overshoot and Collapse and Steve Hallet in Life without Oil argue that deforestation was one of several contributing factors to Rome’s collapse. It is quite certain that Rome also suffered from serious political troubles. But products in Rome certainly did not have a True Price: they saw large scale soil erosion due to the rapid deforestation as the result of population growth and economic development throughout the empire. And slave labor and land conquest was an intrinsic part of the economic system. Food was a critical concern, as the Roman Empire depended, to a large degree, on agriculture and its capacity to feed the many citizens and soldiers. What if a clever Roman emperor had thought 2000 years ago, “hmm, perhaps having high environmental and social costs is not such a good idea,” and gradually dialed back the dependency of the economy on deforestation, slave labor and conquest? Who knows, perhaps it would have survived. Our own economic-ecological-social system could use some rebalancing. Soils and forests and seas, on which we depend to generate our food, are being ‘consumed’. In Africa and Asia, the smallholders and hired workers who produce our food often do not earn a living wage and work under harsh conditions. Even forced labor is still a reality in some parts of the world. Now, the Romans nor the Mayans knew about true costs or True Prices. So, how fortunate are we that we do and have the chance to do it better than our ancestors? Of course, even if the Romans would have understood the concept of True Prices, they would probably have been unable to do something with it: the populace would complain ‘don’t raise the price of my spelt-bread!’, the smart senator would have no way to know the True Price of the many products, the patrician surely would have thought an estate without slaves to be uncompetitive and the farmer would not know how to avoid soil erosion. So we are truly fortunate: we do have the technology to measure, trace and price externalities. We do know how to avoid soil erosion. We do have governments that can set policies in place to incentivize companies to improve their True Prices. We do have the social media in place with which consumers will stimulate their brands to improve their True Prices. We do have an innovative market economy. This means that companies that will thrive are those who succeed in making (food) products that are both affordable and sustainable. In other words, companies who successfully prices until the retail price is the True Price. How can companies do this? In my view, it starts with measuring the external impacts. With that information, companies can improve the performance and efficiency in their operations and supply chains. By providing transparency on their True Prices (not charging it), companies that outperform their peers in terms of True Prices can attract more customers. This provides companies with the means to invest in innovation, which is crucial. Innovation — product, process and supply chain innovation — is the key to transition to sustainable food production without increasing costs. I am quite positive that as such, we will escape the fate of the poor Romans and Mayans, with markets, science, transparency, IT and innovation being a key part of our way out. Join the discussion about transparency and find True Price Foundation on Facebook or Twitter. You can also sign up for our newsletter here. 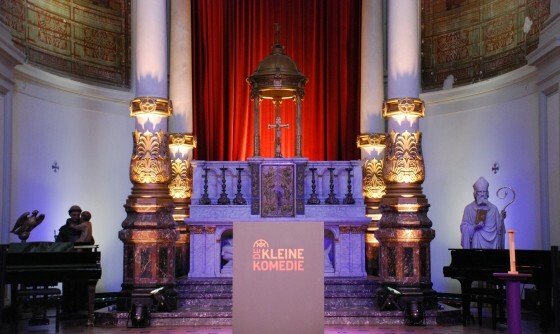 This coming Saturday, our Director Adrian de Groot Ruiz will “preach to the choir” during a special night at the Kleine Komedie in Amsterdam. During this start of the theatre season, presenter Lebbis will give the floor to comedians, politicians, scientists and authors who have a statement to make about our society, present or future. Adrian will be joined by Dries van Agt (former Prime Minister), Franciska de Jong (professor in language technology), René Gude (Dutch national thinker) and Joke van Leeuwen (performer).